Today I travelled out to Grantley Adams International Airport; not for the long haul home but for something far more rewarding. I had a date with a wonderful old lady; though some might call her a ‘wonderful old bird’! I leave it to the reader to decide. Since her retirement, she has been hidden away, like an elderly relative stuck in to a home. Well cared for, but ultimately redundant to all but those who appreciate her natural beauty. I stood before her captivated by her lines and power. her name: G-BOAE or Alpha Echo for short. In her prime, she completed the journey from London Heathrow to Barbados in four hours, or half the time that the new kids on the block take now. Such was the routes popularity, Alpha Echo was joined by two of her sisters, standing in line on the airport's apron. In retirement she had not aged neither physically or physical appearance. Fuel and oils had been drained, but she is as she was when wheeled into retirement. The euphoria was the joy of seeing such a wonderful old lady looking so well; the sadness in knowing she would never take to the skies again. Beautiful photo of the old bird Richard – very regal. 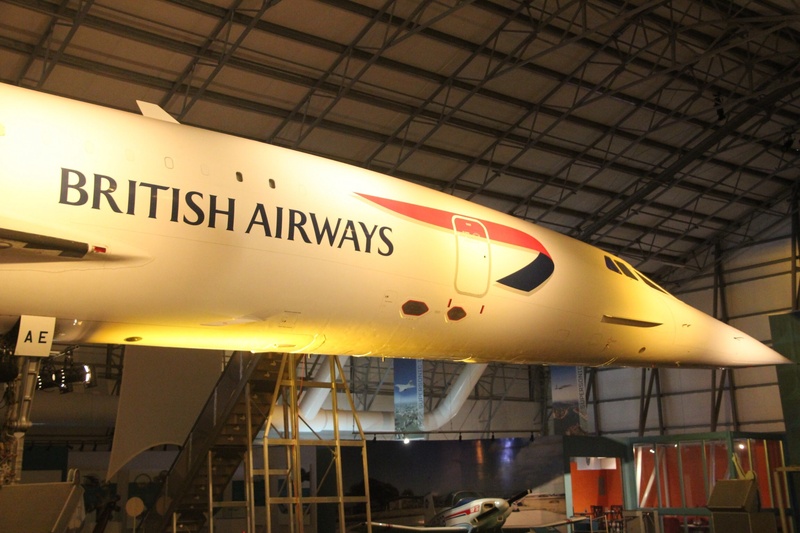 We were privileged to fly on her just once for a day trip – wish it had been to Barbados ! Do they let you Go on board? You do go on board, entering via the baggage hold. You walk through the plane. All the seats are in place, some have representations of meals placed on the seat back trays. All of the galley boxes are in place, as is a horse racing trophy that was flown from the UK to Barbados every year. The cockpit is viewed through a Perspex window. You exit via the front doors. 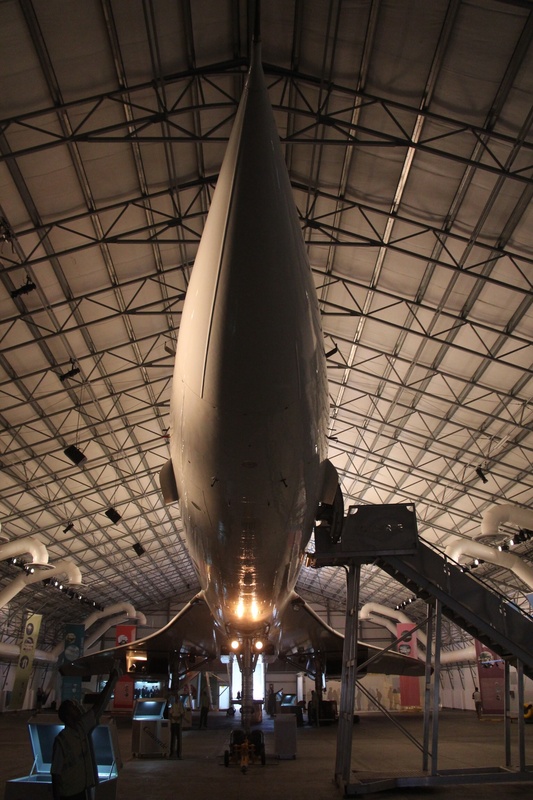 I’m told by another guest, only three of us there, that it is in mint condition when compared to the Concorde at RNAS Yeovilton. It’s a must see in Barbados, though I fear not many visit. Our guide was totally in love with the plane.